The recent decision by a Bronx Criminal Justice in the People Vs Julio Velasquez highlights the burdens on prosecutors for proof of the existence of a mental illness in a time when the role of mental illness in criminal cases is under the spotlight. The defendant had challenge the claimant to a review of their reliability of their testimony based upon knowledge of information that the claimant had a history of bipolar illness. At hand is the issue that the common side effect of medications used to treat the disorder can cause a faulty memory of events. In a contentious ruling, Bronx Criminal Justice, Steven Hornstein, ruled that the prosecutors must submit evidence supporting the admissibility of their claimant’s testimony in regards to the knowledge of the serious mental illness (SMI). The mental hygiene law of New York places the burden of proof on the reliability of testimony on the prosecution when it comes to determining admissibility of testimony from those with a serious mental illness. The law was designed to protect those with SMI as it was imagined they would be the majority defendants in cases. What flips the law this time is that the claimant is the person with the SMI, not the defendant. It stands to create a dangerous precedent for future cases. The claim of the defendant that the sworn testimony of the claimant is inadmissible due to the nature of the claimant’s serious mental illness stands to create a dangerous precedent. While the mental hygiene law was written to protect defendants with SMI, this case has the claimant in the position of having to prove they were competent to give sworn testimony. 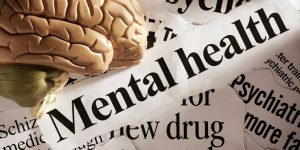 The precedent that the claimant’s deposition can be called into question based upon a pre-existing mental illness creates the potential for a raft of challenges based on dismissal. It opens the door to a precedent that all persons with serious mental illness must now prove their reliability in court even if the SMI is appropriately managed. The burden may remain on the prosecution, but it now means that disclosure practices may change and it could but the HIPAA rights of those with mental illness at risk. From either side of a case it could mean that a proactive disclosure of the diagnoses and treatment of a serious mental illness would have to become the norm. That then pushes the burden of proof onto the prosecutor and could set up a limited window for challenge. While this could benefit some cases, it sets a dangerous precedent of violating the privacy that the mental hygiene act originally intended to protect. Disclosure, at this point, is a tricky field of trying to navigate what can become public record and what is discriminatory. With the recent spate of bills focusing on mental health in regards to gun licensing, it looks like there may also be a judicial tide towards the re-stigmatization of mental illness. Does SMI reduce validity of complaint? What is also a potential with this ruling is that it reinforces the question of the validity and reliability of any statement from a person with serious mental illness. This could also create a retroactive door to appeals for numerous cases in which not just the defendant suffered from SMI, but so did the claimant. Testimony, admission and confessions could be challenged due to the fact of a documented condition. The condition itself would not be the determining factor, but also the side effects of its treatment and the effects on a person’s recall and memory. Expect criminal lawyers everywhere to be reviewing the implications of this decision on both old and new cases alike.